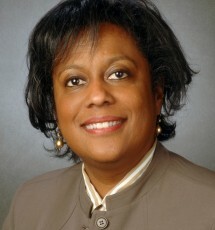 Lois is the President and TAB certified facilitator of the Alternative Board of North Atlanta. She uses her twenty years of senior level business experience to help owners strategically manage and develop their businesses and their leadership teams discover, communicate and execute their vision by advising how executives can best grow their team’s capabilities to maximize results. She also specializes in facilitating executive strategic planning, vendor management, talent development, succession planning, organizational development, reaching alignment and building excitement around goal attainment. Lois Collins is an accomplished and experienced executive who has held executive level roles in the service industry, such as Chief Human Resource officer. She has worked directly with CEOs, owners and Managing Partners of companies large and small; public and private. She was directly entrusted with significant P&L responsibilities. Lois understands the challenges and opportunities faced by business owners and is known for being the anchor that strengthens internal peer and executive level relationships. She also holds an MBA from Marylhurst University and is a TAB-Certified Facilitator. 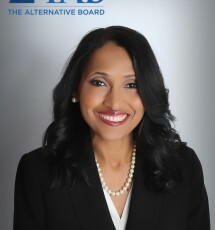 At present, LaVern is the Managing Director and certified TAB facilitator of the Alternative Board of North Atlanta. LaVern Miles brings over 20 years of Big Four professional services and program leadership guiding business leaders to achieve excellence in both client services and operations. As a management consulting executive, LaVern has led middle market and Fortune 500 client teams to create and implement business solutions to build functional capabilities, improve performance, and mitigate risk. Her multi-industry experience includes: consumer products, utilities, regulatory, healthcare, and financial services. She brings a passion for continuous learning and a unique blend of cross-functional subject matter knowledge of operations, process, technology, and risk management. The best business decision that I’ve ever made (besides opening my store) was to join the TAB Board. It taught me how to structure and formulate basic fundamental policies and procedures; it has helped me sharpen my vision for future business and personal goals. The TAB Board provides a safe place to bounce around ideas and receive honest, creative solutions to important business challenges. Coaching sessions are professional, focused and very enlightening.